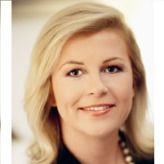 Croatia’s current ambassador to the United States, Kolinda Grabar-Kitarović was born in Rijeka, Croatia, but attended high school in Los Alamos, New Mexico, before earning her BA in English and Spanish languages and literature at the University of Zagreb, Croatia in 1993. From September 1995 to June 1996 she pursued postgraduate studies in diplomacy, international law, economics and European integration and training at the Diplomatic Academy in Vienna, Austria. She earned her MA in political science from the University of Zagreb in 2000, and attended George Washington University as a Fulbright scholar from 2002-2003. From 1992-1993, Grabar Kitarović was assistant and then advisor in the Department for International Cooperation of Croatia’s Ministry of Science and Technology. She served as advisor and then senior advisor to Croatia’s deputy minister of foreign affairs (1993-1995), and headed the Department for North America in Croatia’s Ministry of Foreign Affairs (1995-1997). At Croatia’s Embassy in Ottowa, Canada, she was Diplomatic Counselor (1997-1998) and Minister Counselor (1998-2000), in which position she next served at Croatia’s Ministry of Foreign Affairs (2001-2003). She was elected to the Croatian Parliament’s 7th Electoral District in 2003, and served several positions in government, including Minister for European Integration (2003); National Aid Coordinator (2004); Head, Delegation Enlargement Protocol Negotiations (2004); Chairman, Interim Committee for Trade matters between the European Community and Croatia (2004); Head, Delegation for Negotiations on EU Accession (2005) and was appointed Minister of Foreign Affairs and European Integration in 2005. She was appointed to her current post in March 2008. In addition to Croatian, Grabar-Kitarović has “excellent command” of English, Spanish and Portuguese, and “passive knowledge” of Italian, German and French.